Adding Days to Lives, and Life to Days. 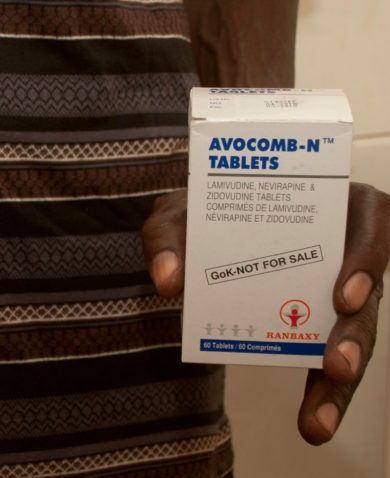 On Christmas day in 2012, a four-month-old girl in Nairobi Hospital’s intensive care unit received a desperately needed dose of the antiretroviral medication Kaletra, despite the fact that the hospital was out of stock. From her doctor’s hands to her parents’ hands was the “last mile” of a long and sometimes convoluted system that delivers much-needed medical supplies to patients all over the world. An efficient supply chain is essential to patient care. Far more than a pharmaceutical company, a hospital, and a patient, health supply chains bring crucial medical supplies to millions worldwide and involve a diverse range of stakeholders, including local and international suppliers, transporters, warehouses, and quality control checkpoints, to name a few. The keys to a system that works efficiently are coordination and quality control. Delivering life-saving medicine at the right moment also takes speed. percent of all service delivery points using the new electronic supply chain management tool. 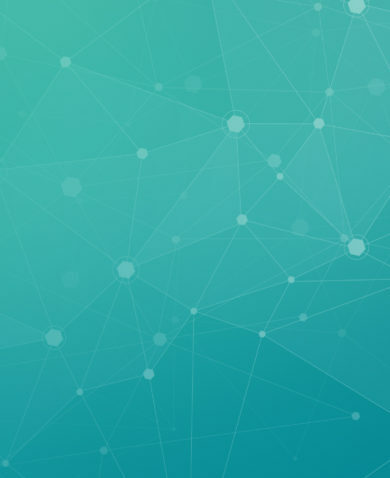 In 2011, Pharma introduced an electronic supply chain management tool — the eSCM — to improve the accuracy and timeliness of information, make ordering easier and faster, and improve communication and coordination among supply chain stakeholders. Since the eSCM launched, 96 percent of all service delivery points are using it. 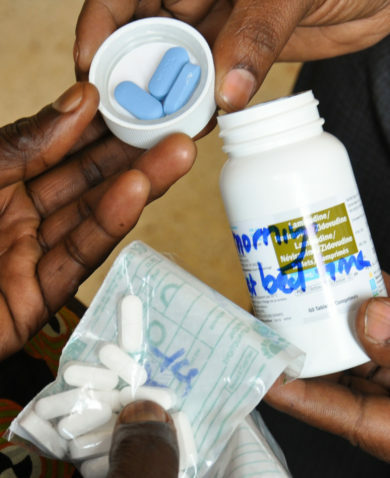 The eSCM has dramatically sped up data collection and dissemination for Kenya Pharma’s staff and private sector partners, including transporters, hospitals, and warehouses, allowing them to meet patients’ medical needs as quickly as possible. With more accurate and timely data, Chemonics and USAID are also able to analyze trends, promote inventory management, and identify and correct discrepancies in data uploads, all of which create a more effective and sustainable supply chain. 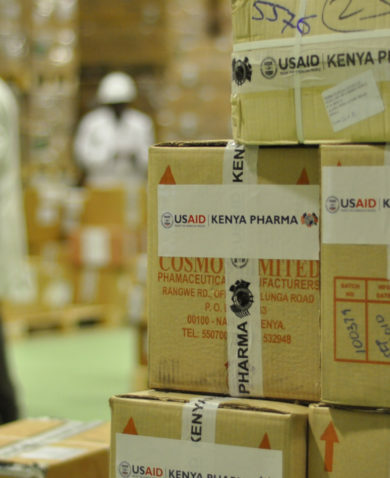 Though the eSCM met a critical need in the Kenyan pharmaceutical supply chain, its development was not always smooth. The first version of the system was developed by an international firm with little input from end users, and as a result, they did not use it. Through an iterative process that involved all stakeholders throughout its development, however, Pharma built a new system that has been embraced by nearly all of the project’s service delivery points. Go local. In this case, because so much of the system depended on usability and real-time accessibility, using a local firm brought a depth of understanding to the project. The local firm was better positioned to respond to connectivity issues and work directly with stakeholders. Begin with the end (user). Beginning with the end user’s needs allowed the revamped system to catch on more quickly with key groups. End users’ input on functionality greatly informed design, and involvement in the process gave users a sense of ownership over the system. Be practical. User uptake depends on convenience and demand. In addition to involving end users in the system’s design, Kenya Pharma actively trained field service representatives to use the eSCM during an intensive system launch. A practical launch training event at Kimu Mission Hospital demonstrated the value of this high-touch approach. Kima Pharmacy Technologist Evans Chibinda was comfortable with the old system and had submitted his monthly order five days before, though it was still in transit. Seeing an opportunity to demonstrate the eSCM’s speed, project trainers asked him to input the order right then. Within 30 minutes, he had learned the system, inputted his order, and received confirmation from the Kenya Pharma office. “Wow this is great!” he said. “Only a moment ago I typed the data into the eSCM and now like magic the Kenya Pharma office has already received it. It has only taken a few seconds, yet the order sent by courier last week by still hasn’t reached Kenya Pharma.” Today he is a strong advocate for the system. Never say “done.” Kenya Pharma does not consider the eSCM complete. They are continually working to improve the system, adding modules and functionalities to meet user demands, such as compatibility with mobile devices. They are also working with other supply chain stakeholders to integrate Pharma’s system into other national databases and tools. 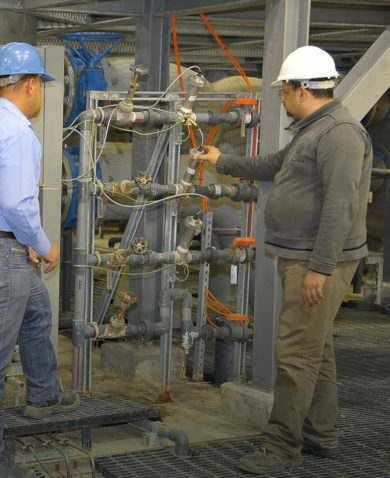 In line with the project’s ISO 9001:2008 certification, they are committed to the continual improvement of their systems. 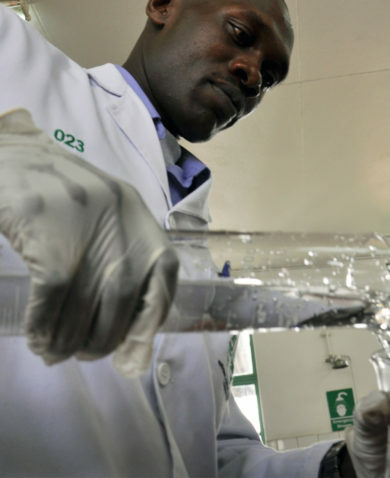 Read more about Kenya Pharma’s ISO 9001:2008 certification. 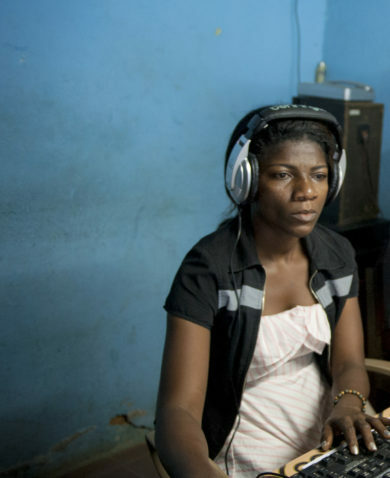 After a decade of political and economic crisis culminating in the 2010-2011 post-electoral conflict, Côte d’Ivoire is charting a new course toward economic recovery and political stability.